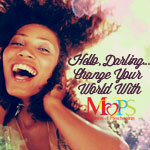 Clean eating sounds like a daunting task until one goes through the process a few times. 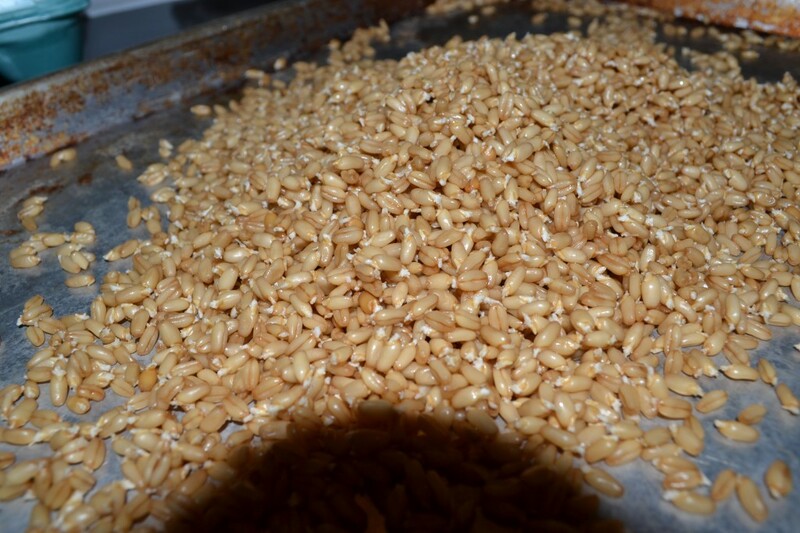 We starting sprouting and milling our own wheat to eliminate preservatives and additives in our family’s diet. 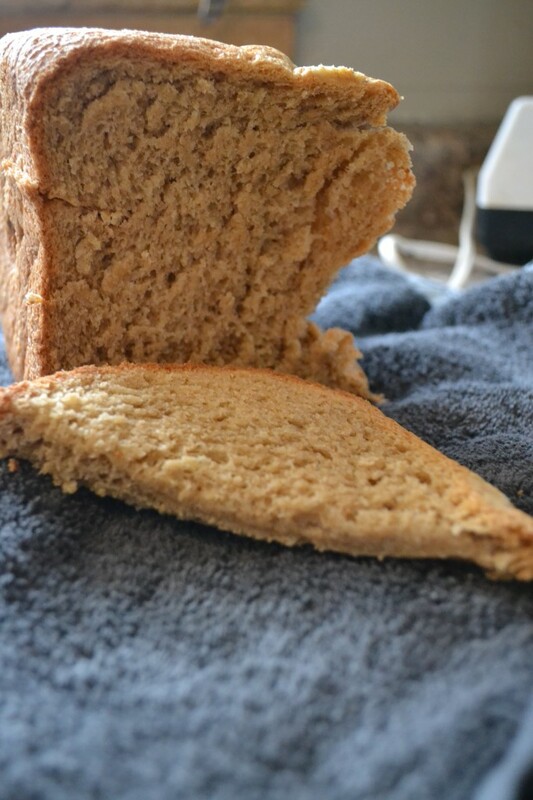 And because my kids LOVE their carbs, bread was one items I began making from scratch. 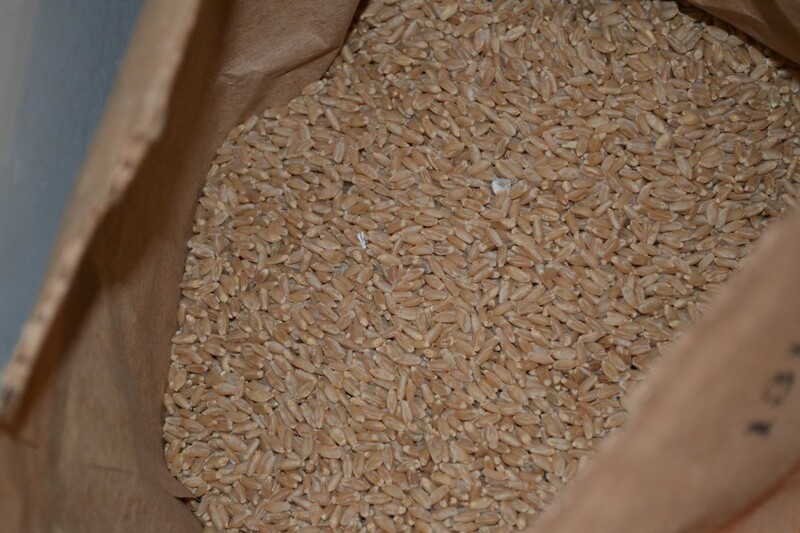 Wheat berries (or wheatberries) are completely unprocessed wheat that contains all parts of the seed: the germ, the bran, and the endosperm. 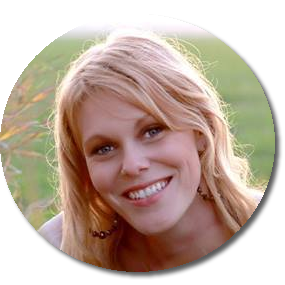 This means the complete nutrition from all of the whole grain’s minerals, phytochemicals, and vitamins is retained. While wheat that has been highly processed into flour and used in junk food byproducts can harm your health, studies show that whole grains such as wheat berries have positive health benefits, such as lower cholesterol, and reduced risk of Type 2 diabetes and heart disease, among other benefits. 1. Store bought flour with the words (bleached and enriched) used to make bread is chemically bleached, just like you bleach your clothes. (EWWW). 2. Highly processed flour is missing two nutritious and fiber rich parts of the seed: the outside bran and the germ. With the process of removing these items, nearly all of the vitamin E is lost on top of losing good fatty acids. 3. When grains are harvested in sheaves and the grain is allowed to sprout & germinate, it changes the nature of the grain and we are better able to absorb it. It is lower in carbs (can I get an amen?). So, I have some good reasons for it, now let’s see how easy or complete the process is. Purchase whole wheat berries from your local co-op or store. This brand is Prairie Gold Montana Wheat. Otherwise visit: www.azurestandard.com. Keep in mind you are looking for organic berries. 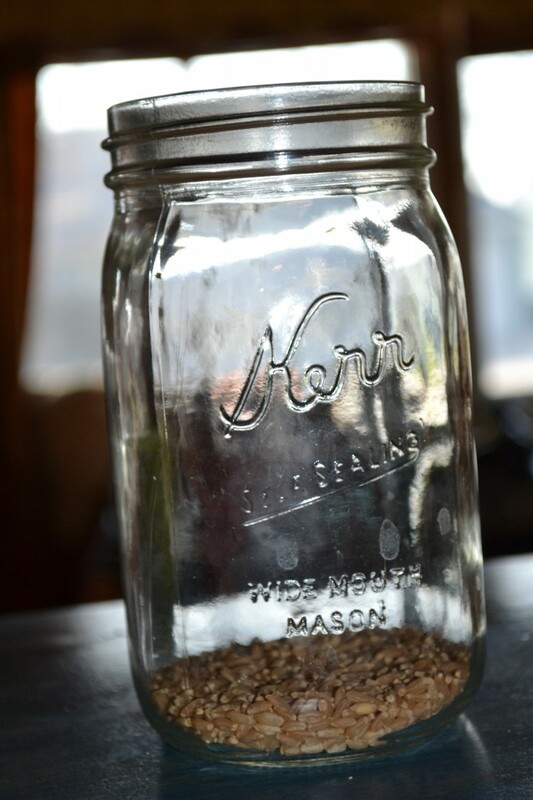 In a mason jar, pour 1/2 cup wheat berries and 2 cups lukewarm water. Cover top of jar with cheese cloth (I used old toole and a rubber band to secure it). Let sit in dark location for 12 hours. Drain. Add more water. Slosh around gently. Drain. Repeat. Set jar on it’s side or mesh side down at a 45° angle so any excess water can drain out. Let sit in dark location for 36 – 48 hours. Rinse and drain (as in step #4) grains every morning and evening (approximately every 12 hours). When white sprouts are approximately 1/8″ long, they are officially sprouted. 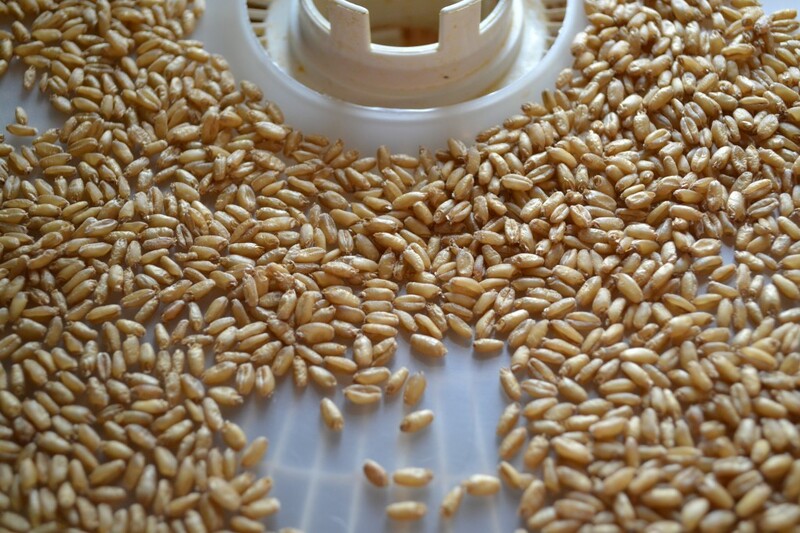 Once sprouted, the wheat berries need to be thoroughly dried to prevent mold using either a dehydrator or an oven, both set to 150˚. I use a dehydrator because it can take 10-24 hours to dry the berries, more time than I would like to keep my oven running. Pour the wheat berries onto a mesh dehydrator tray or oven sheet pan, as seen above. 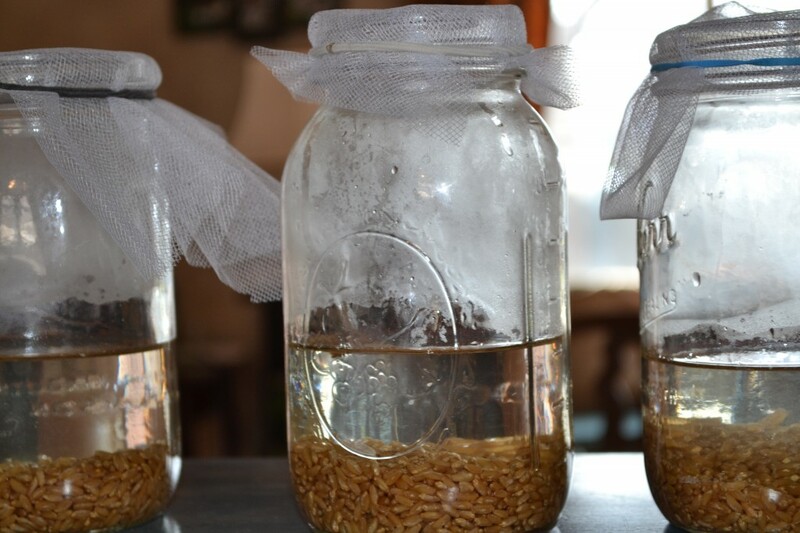 Once grains are completely dry, they can now be stored in your pantry in an air-tight container. Or if you like, you can grind them right away and keep the freshly ground flour in the fridge (to use up within a week or two) or in the freezer for longer storage (several months). King Aurther has some fabulous steps with photos if you have an electric mill. If you don’t, your coffee grinder will do. In a large bowl, mix warm water, yeast, and 1/3 cup honey. 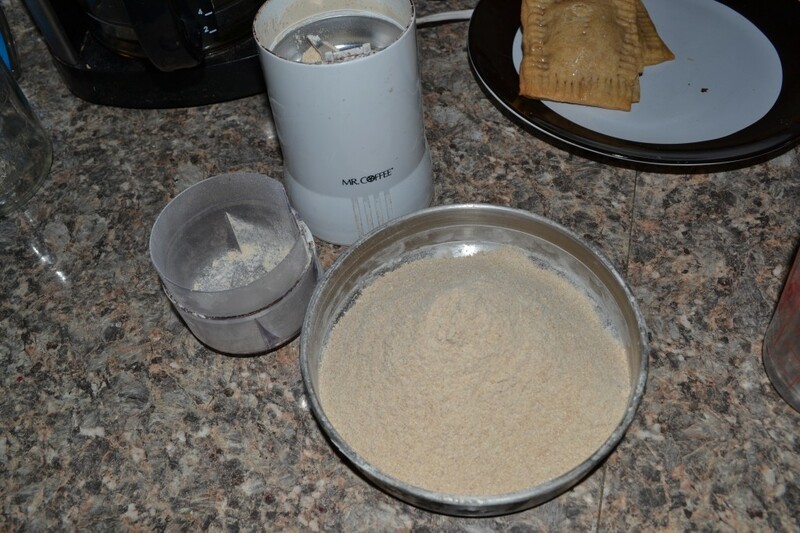 Gradually add in flour and salt. Flour a flat surface and knead with whole wheat flour until not real sticky – just pulling away from the counter, but still sticky to touch. As you knead, you may need to add more flour. Place in a greased bowl, turning once to coat the surface of the dough. Cover with a dishtowel. Let rise in a warm place until doubled. Punch down, and divide into 3 loaves. Place in greased 9 x 5 inch loaf pans, and allow to rise until dough has topped the pans by one inch. Bake at 350 degrees F (175 degrees C) for 25 to 30 minutes; do not overbake. Lightly brush the tops of loaves with 2 tablespoons melted Earth Balance Butter, when done to prevent crust from getting hard. Cool completely. In bread machine pan, place all ingredients in order suggested by manufacturer. Select basic bread setting. Choose crust color and loaf size if available. Bake according to bread machine directions (check dough after 5 minutes of mixing; add 1 to 2 tablespoons of water or flour if needed). Tip: If properly wrapped, bread can be stored in freezer up to 6 months. I recommend using it within 3. (Quality plastic wrap and tin foil).